A few new movies hit theaters in what could be a very calm weekend before the storm. 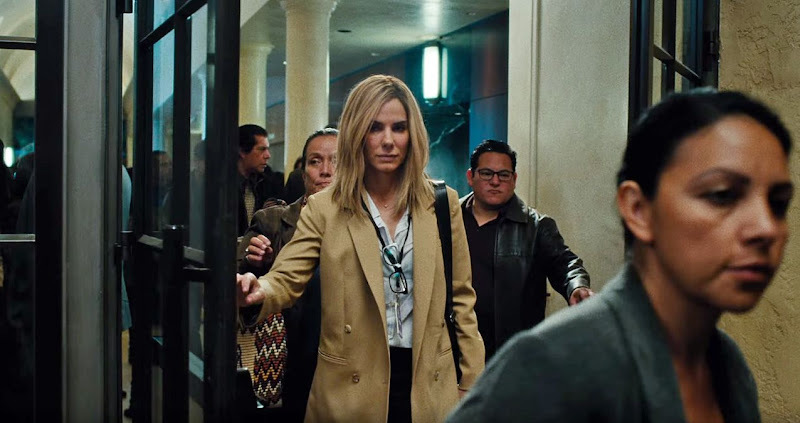 Hit Factor: Sandra Bullock. Targeting the Argo audience. Flop Factor: Wont get there if early reviews are an indication (43% Tomatometer). Hit Factor: Low budget. Bradley Cooper. Flop Factor: Poor early reviews (35% Tomatometer). Target audience? Flop Factor: Marketing seems very absent for this film. In what looks like a crowded box office, Ridley Scott's The Martian managed to reclaim the top spot with only $15.9 million. All the newcomers pretty much underperformed; The Last Witch Hunter ($10.8 million), Paranormal Activity: Ghost Dimension ($8.2 million, a franchise low), Steve Jobs ($7.3 million). As for Rock The Kasbah ($1.5 million) and Jem and the Holograms ($1.3 million), the didn't even crack the top ten... 13 and 15 respectively. Next weekend could be another soft weekend before James Bond returns in Spectre. That was a mouthful, as a slew of new movies hit theaters this weekend. Hit Factor: Has some awards season buzz. 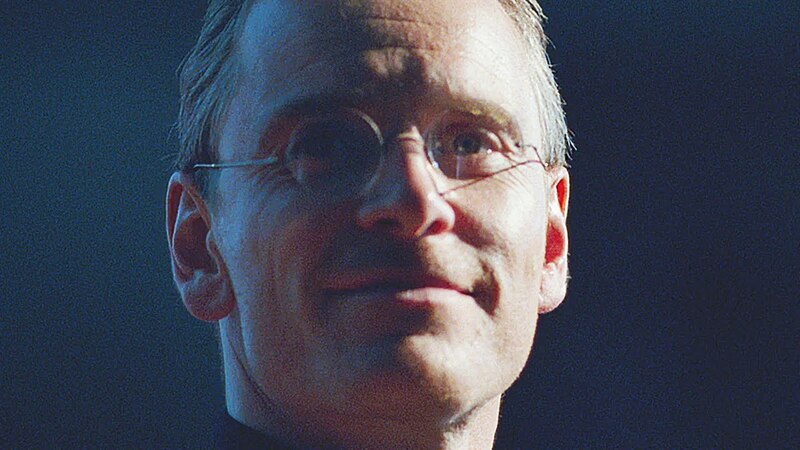 Flop Factor: Most of the people that new Steve Jobs don't care for this film. Feels like it's going for The Social Network, but it's missing that special something. Hit Factor: Very low budget. Flop Factor: How many of these have they made already? Hit Factor: Vin Diesel... Action, Boom! Effects. Flop Factor: Seems like too much CGI and a missed target audience. Flop Factor: People who watched the TV show growing up are not remotely nostalgic about this film. Flop Factor: Lots of competition and it's early negative reviews aren't helping. Goosebumps ($23.5 million) snatched the top spot away from The Martian ($21.5 million) this weekend. With Hotel Transylvania 2 doing well, and now... Goosebumps, it looks like Sony will have a decent rest of the year (Yes, The Walk is underperforming). They still have a small little franchise film, called Spectre coming out next month. Bridge of Spies ($15.4 million) and Crimson Peak ($12.9 million) make up 3rd and 4th. The later of which proves somewhat a disappointment for director Guillermo Del Toro, who now will find it hard to greenlit his future big budget films. As for Spielberg's Bridge of Spies, it's strong word of mouth and positive reviews suggest it'll have decent sized legs, especially when we get closer to awards season. In other news, Ant-Man debuted in China to the tune of $43.2 million, pushing it's worldwide total to $454.6 million. And in other other news, no ones talking about that big budget film Pan. Probably because after it's disappointing debut last weekend, it tumbled a big 62% for a cumulative $26 million against it's reported $150 million budget. 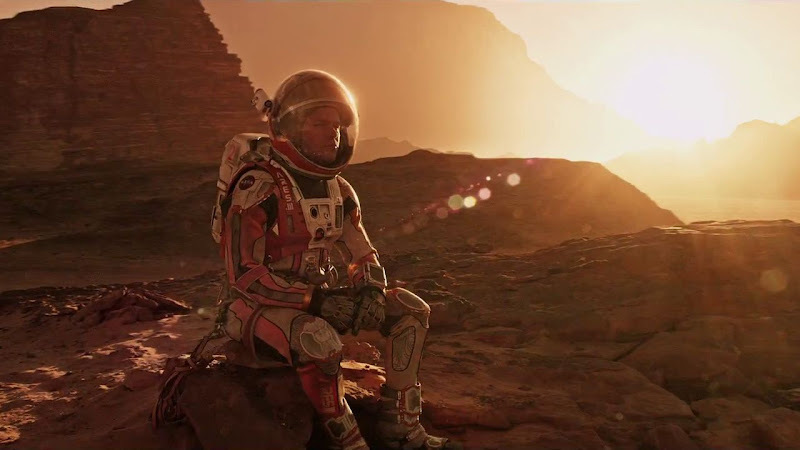 A few new movies hit theaters this October weekend, looking to bring The Martian back down to Earth. Hit Factor: Based off of the famous kids books. Flop Factor: It's like Jumanji meets Night At the Museum, though I guess those movies did well. Hit Factor: Spielberg and Tom Hanks... Early awards season buzz. Flop Factor: May be too serious for the season. Hit Factor: Director Guillermo Del Toro makes big epic movies. A horror film more than just cheap shock and gore. Flop Factor: Most of his films have a hard time recouping it's budget despite how good they are. 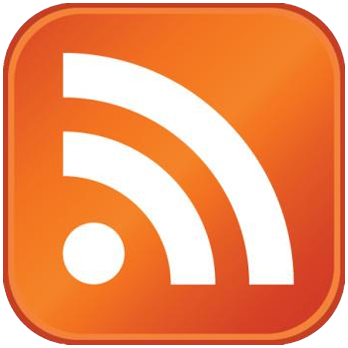 The Martian easily defended it's second weekend ($37 million) from newcomers Pan ($15.5 million) and The Walk ($3.7 million), both of which disappointed at the box office. 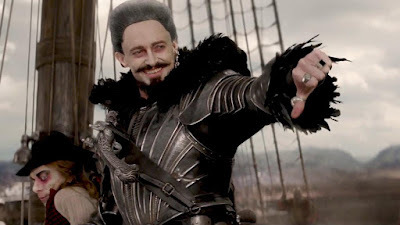 But this goes even more so for Pan, as it reportedly cost $150 million... So, Warner Bros. are now putting their hopes on the overseas market. As for Robert Zemeckis' The Walk, it's budgeted around $35 million, so the sting isn't too bad. Though, it's still underwhelming, especially since it's got mostly positive reviews. Besides competition from others (mainly The Martian) I'm wondering if it's release date was too close to Everest, both of which seemed solely made to watch only in Imax. 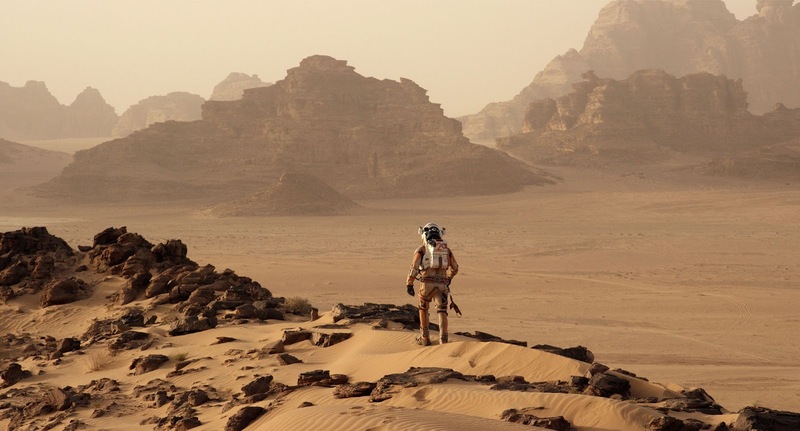 The Martian looks to repeat as a couple of new movies hit theaters this October weekend. Hit Factor: Another telling of the famous story. Flop Factor: How many trips to Neverland can we watch before it get's tiresome? Hit Factor: Good reviews (87% Tomatometer). Flop Factor: Despite it's great rating, there's other better films in competition. Ridley Scott's space flick, The Martian, debuted just shy of Gravity's $55.8 million for the biggest opening in October. Though, numbers may change tomorrow when the final tally is released for the weekend. Overseas, it also grossed a big $45.2 million, marking it's worldwide total at $100.2 million. 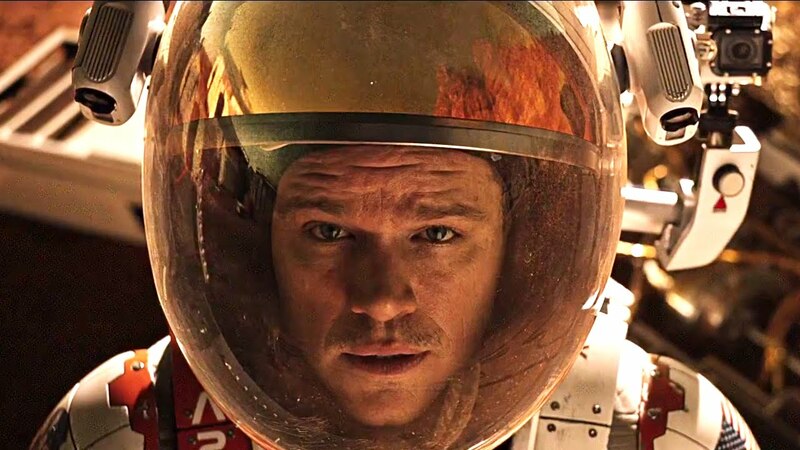 The Martian also marks, Ridley Scott's biggest opening since 2001's Hannibal ($58 million). In other news, Hotel Transylvania 2 slipped to a strong second place ($33 million) and is now Sony's biggest film of the year with a domestic total of $90.5 million. Yes, Sony, has not had a film gross over $100 million yet, in 2015. Surprisingly, their top 3 films (Hotel Transylvania 2, Pixels, Paul Blart: Mall Cop 2) all involve Adam Sandler in a way. In other, other news, Sicario opened to a respectable $12.1 million, which should have some decent legs since it's reviews are very strong. Then again, not all critically acclaimed movies do well at the box office. A couple of new Award season movies hit theaters this weekend. The Joseph Gorden Levitt and Robert Zemeckis flick, The Walk, also opens, though only on Imax screens. Hit Factor: Interstellar and Gravity proves interest in Space movies are strong. Flop Factor: Director Ridley Scott's last couple of films didn't fair to well. Hit Factor: Good reviews (93% Tomatometer), Awards buzz. Pulling strong audiences in very limited release. Flop Factor: Might be too serious and dark for the average audience.